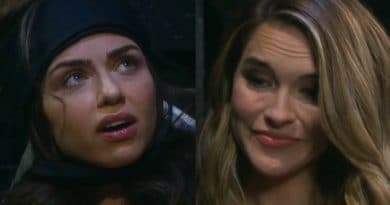 Days of Our Lives spoilers for the week of September 10-14 reveal Ben Weston (Robert Scott Wilson) surprises Ciara Brady (Victoria Konefal). And more surprises are in store for many Salem residents. Paul Narita (Christopher Sean) and John Black (Drake Hogestyn) will both receive devastating news. Also, expect confrontations between Eve Donovan (Kassie DePaiva) and Jennifer Horton (Melissa Reeves) as well as Ben Weston and Hope Brady (Kristian Alfonso). Days of Our Lives spoilers also reveal that Sami Brady (Alison Sweeney) will see some action this week. She will discover her mother has taken a turn for the worse. Rafe Hernandez (Galen Gering) will break the rules to help her even though it’s against his better judgment. As a result, Hope and Rafe will get into a heated argument about Sami. Paul played the hero saving his step-sister, Sami from being shot by Kristen DiMera (Stacy Haiduk). His heroic act will cost him dearly. Paul will come to a horrifying realization. He will receive dire news this week. Could he be paralyzed after his fall from the 3rd story of the Salem Inn? It appears that Paul will also have his heart broken by Will Horton (Chandler Massey). Brady Black (Eric Martsolf) will try to keep Will from telling Paul that he remembers his love for Sonny (Freddie Smith). Will understands Brady’s point of view but after talking to his father, Lucas Horton (Bryan Dattilo), he will be truthful with Paul. Tione (T-Boz) Watkins will reprise the role of Shelia today. After confessing his feelings to Lani Price (Sal Stowers), Eli Grant (Lamon Archey) will be feeling down. Shelia will show up just in time to possibly offer him a pick me up. Abe Carver (Jame Reynolds) will not like the ex-convict hanging around Eli. Abe and Shelia will not like each other. Eli and Shelia have a history together so Abe’s objections might fall on deaf ears. Bonnie Lockhart (Judi Evans) will pressure Lucas Horton to help her with her legal issues. After dropping the bomb that she was pregnant when she fled Salem Bonnie will try to use that to her advantage. Chloe Lane (Nadia Bjorlin) and Lucas will both be skeptical. Lucas will meet his daughter but there’s a twist to the story. Bonnie’s daughter Mimi Lockhart (Farah Fath) will return to Salem holding the key to the lie. Jennifer and Eve will once again have a confrontation. Jennifer will put Eve on notice. Eve thinks she holds all the cards. She used Jennifer’s fear of losing Eric against her. Eve doesn’t realize that Jennifer wants Eric Brady (Greg Vaughan) to be happy even if she loses him to Nicole Walker (Arianne Zucker). Jennifer’s not playing Eve’s game anymore. She means business. Jennifer will also have a conversation with Kayla Brady (Mary Beth Evans) who will push her to tell Eric the truth. As a result, Jennifer will come clean with Eric. Ciara Brady will receive a special gift from Ben. As the two continue to bond Hope pushes harder to keep them apart. She is still hell-bent on sending Ben Weston to Statesville. Later on, Hope will find new evidence but it will make Rafe question her methods. Future spoilers indicate that Hope will find herself in trouble and Rafe will be stuck between a rock and a hard place. Hope’s accused Ben Weston of a lot of things but today Ben turns the tables and accuses Hope! Hope claims to have uncovered new evidence. Ben will point the finger at Hope, presumably accusing her of fabricating evidence. With his lawyer Ted Laurent (Gilles Marini) now missing thanks to Stefan DiMera (Tyler Christopher) will Ben have a fighting chance against the Commissioner? Hope hasn’t even considered the possibility that someone else would want to do harm to her daughter. She’s totally focused on Ben. The week will end in Salem with Marlena Evans (Deidre Hall) family gathering for an emotional goodbye. Belle Black (Martha Madison) discovers Marlena’s Living Will, therefore, the family will be forced to honor her wishes. However, John Black will fight to save the woman he loves. Expect to see lots of tears and stellar performances from Drake Hogestyn. Come back to Soap Dirt daily for all your Days of Our Lives news and spoilers. 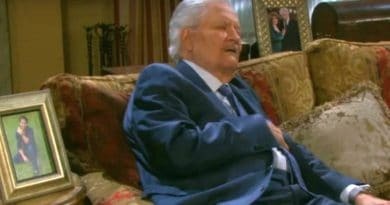 ‘Days of Our Lives’ Spoilers: Victor’s Health Scare – John Aniston Days in Salem Numbered?